Versions of the HUP built for the U.S. Army were designated H-25 Army Mule. 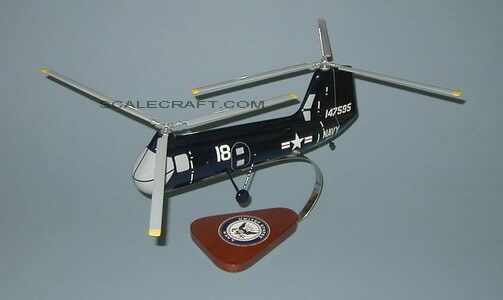 The tandem overlapping rotor configuration was a development by Piasecki and was used in future helicopter designs by the company and successors including the H-21, HRB-1/CH-46, and CH-47. The design featured two three bladed 35 foot diameter rotors in tandem in which blades could be folded for storage in ships’ hangars. The HUPs were powered by a single Continental R975-46 radial engine, with a take-off rating of 550 hp. To provide rescue without crew assistance, an electrically operated door, available after folding the copilot’s seat forward, opened through which a rescue sling could be lowered from an overhead winch. The HUP was produced for the Navy in four versions: HUP-1, -2, and -3. The HUP-2 was the first production helicopter equipped with an auto-pilot. In addition to those delivered to the U.S. Navy and Army, the HUP/H-25 helicopter was also delivered to the Canadian and French Navies. A total of 339 aircraft were delivered over the 20 year life of the aircraft. The US Army H-25 designation was adopted by the other services in 1962. The final units were withdrawn from US service in 1964. It also served with the French Navy from 1953 to 1965. Mahogany Wood. Rotorspan 28 inches, Length 16 1/2 inches.